My name is Erik Vindedzis. I am a Toronto based marketing and social media guru. My work includes everything from aggregating and creating company newsletters, investigating and analysing rival companies' metrics, promoting sales and events on Facebook or Twitter, and many other tasks. I have worked with a variety of clients ranging from non-profit organisations to car dealerships, and I have even dabbled in Toronto's local music, venue, and craft beer scenes. In my personal life I follow the automotive industry and all things motorsport related, I am a hobbyist fiction writer of short stories, and am trying my hand at the art of homebrewing. So if you want to talk Formula 1 over the latest limited release beer, I'm your man. 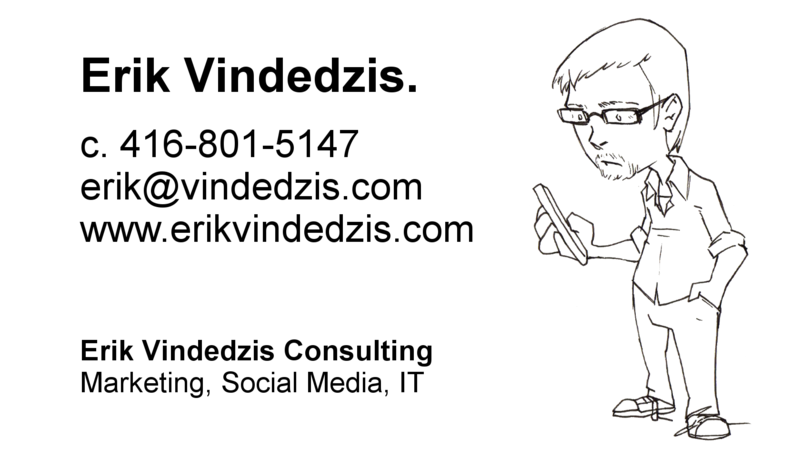 If you should be at all interested in contacting me for marketing or social media related purposes, please do not hesitate to get in touch with me either by email, phone, or on one of the many social networks. I am always online.